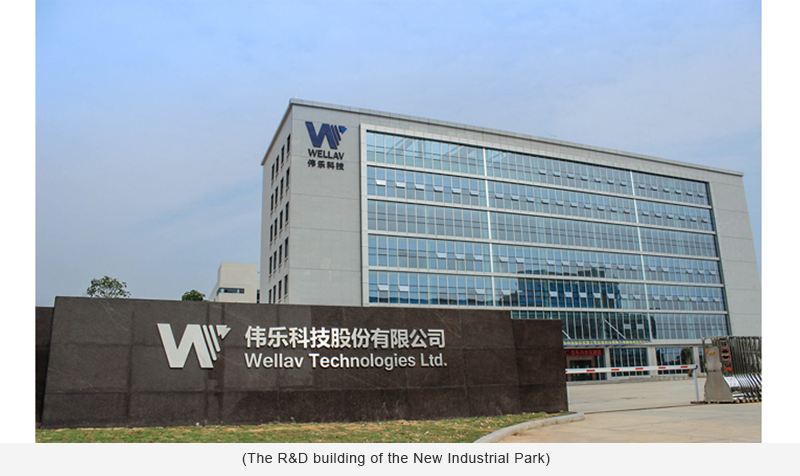 October 17, 2015; Wellav Technologies Ltd., an industry leader in video delivery and broadcast solutions, openedits ‘newly built’ corporate headquarters at No.1, Shunchang Road in Huizhou, Guangdong. The industrial park, founded by Wellav, covers 32,000 square meters and includes an office building, a production plant, two dormitories, a playground, a dining hall and a gym. Wellav officially unveiled their industrial park with jubilant fireworks, as President Bill Zou and Vice President Jeff Zhu removed the red cloth from the WELLAV logo at the front gate. “This brand new working and living environment offers a better platform for the future development of Wellav” said Zou. Vice President of the State Administration of Radio Broadcast, Zhou Yi, Vice Secretary of the Institute of Scientific Research of Huizhou Zhongkai High-tech District Party Committee, Yang Pengfei, and Secretary of the Huinan Industrial Park Yang Xiaopeng, were among a few of the distinguished guests that attended and spoke at the ceremony.